Reports suggest the number of housing transactions in March is up only slightly (1.5%) on February possibly a result of a shortage in properties available for sale (particularly in the South) – RICS reported that the average levels of stock are at their lowest point for the last 14 years. The longer term trend of rising house prices looks set to continue as demand for housing is still running at a higher rate than supply (Demand grew by 3.3% this past month with supply up by 1.9% according to Hometrack). 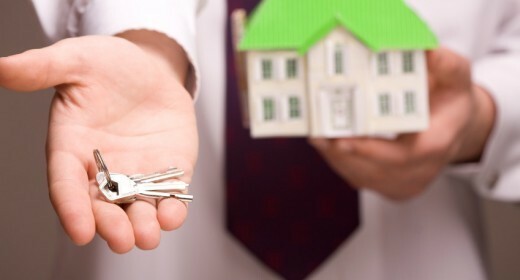 Mortgage Market Review measures which place a greater emphasis on affordability are not expected to have an impact on the housing market in the short-term as low mortgage rates and rising consumer confidence are expected to keep demand up. Nationwide: “Earnings growth is beginning to pick up with wage increases finally outpacing the rise in cost of living in February”. 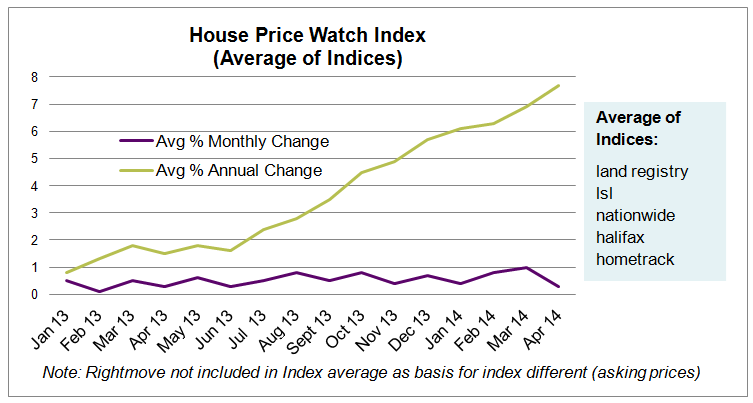 This month, house prices are up in the South and East, West Midlands and the North East. 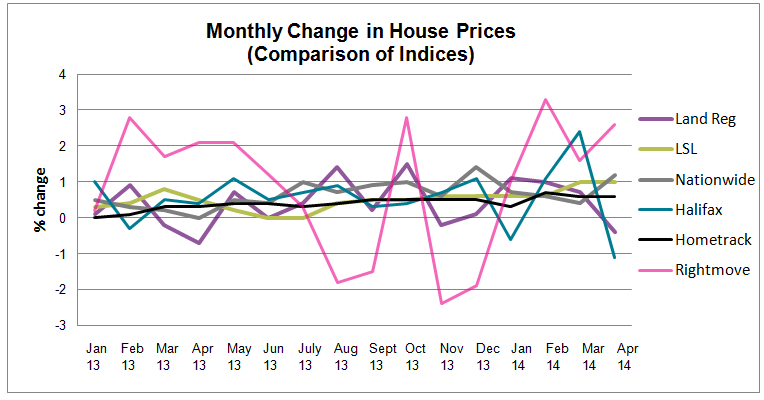 Prices are down in Wales, East Midlands, North West and Yorkshire & Humber. 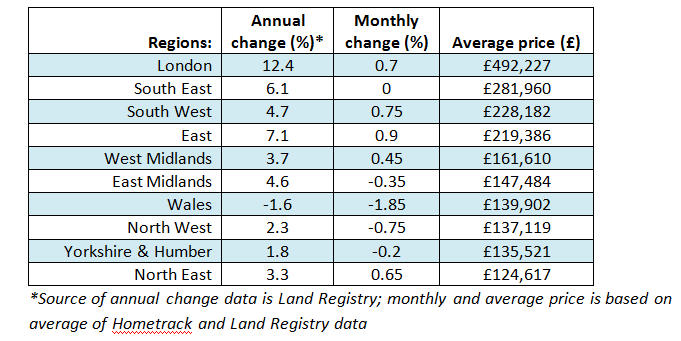 The region with the most significant annual price increase is London up 12.4% but there are emerging signs of price resistance. According to Hometrack data, much of the house price growth is coming from lower value London markets that offer relative value for money. Time on market in London is up from 2.7 to 3.4 weeks over the last month and the proportion of markets registering price gains is softening.